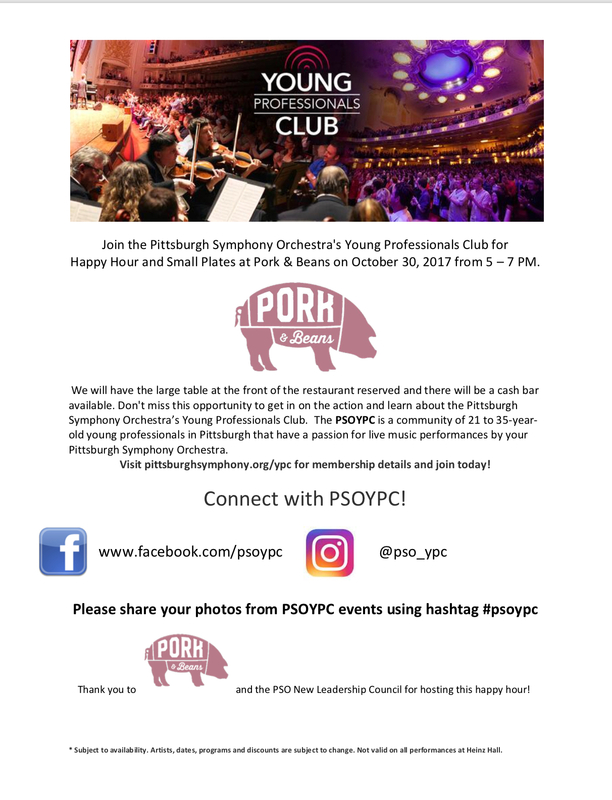 I'm taking a break from my regularly scheduled programming to talk about a new organization being formed by the Pittsburgh Symphony Orchestra - the Young Professionals Club. It should be clear from my posts that I love live music, but I don't think I've ever posted about going to the symphony before. I've been going to the symphony ever since I was a little girl - my sister used to sing in a choir that would sometimes perform with the symphony, and we both also took piano lessons. I know that some people think of classical music as old and boring, but I think you really just have to find your niche. It's certainly different than going to a pop concert, but the music is beautiful and it's incredible how all the different instrument sections come together to create such an amazing performance. Pittsburgh, in particular, has such a fantastic symphony - the musicians are all so passionate, and it really shows. Last year, I joined the New Leadership Council, which is a group of people who are passionate about helping the symphony continue to grow and succeed. This year, we're helping the symphony start the Young Professionals Club - a group of people who are 21-35 years old who enjoy classical music and the Pittsburgh Symphony! It costs $35 a year, and members get discounts on tickets, invitations to happy hours and other social events, and access to special behind-the-scenes activities. To kick off the YPC, we're throwing a happy hour downtown at Pork & Beans. I'll be there, and anyone who is interested in learning more about the YPC should definitely join! Feel free to leave a comment or e-mail me with any questions.